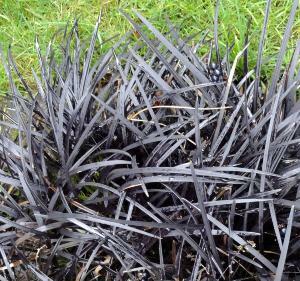 Ophiopogon planiscapus 'Nigrescens', ‘Black Mondo Grass' or ‘Black Dragon Grass' is a small ground cover evergreen grass-like perennial in the lily family, with almost black foliage and is sometimes referred to as ‘Lilyturf'. It grows slowly from short rhizomes, and bears tufts of leaves, from which mauve flowers emerge in racemes held on short stems above the leaves. This plant is commonly used in rock gardens or raised beds as an ornamental plant; owing to its dwarf-like qualities it can be lost in borders, but makes an ideal edging plant. Ophiopogon planiscapus is native to Korea and Japan, where it grows on open and forested slopes. It has no particular insect or disease problems, and is incredibly adaptable to sun or shade in a wide variety of soils. Being evergreen, it comes into its own during the winter period, and makes a superb low growing, ground covering perennial. 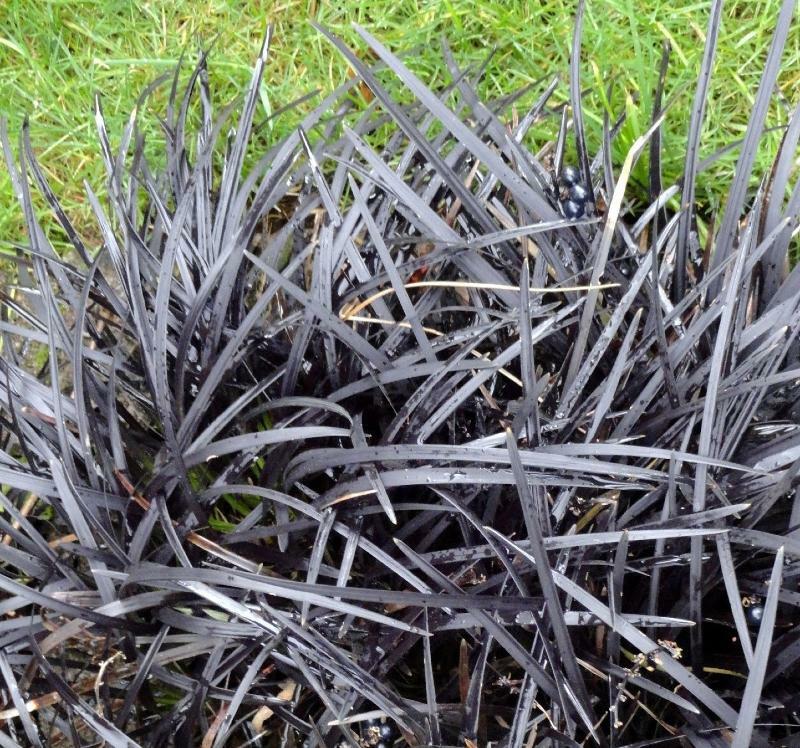 Uses: This plant is commonly used in rock gardens or raised beds as an ornamental plant; owing to its dwarf-like qualities it can be lost in borders, but makes an ideal edging plant. Being evergreen, it comes into its own during the winter period, and makes a superb low growing, ground covering perennial.